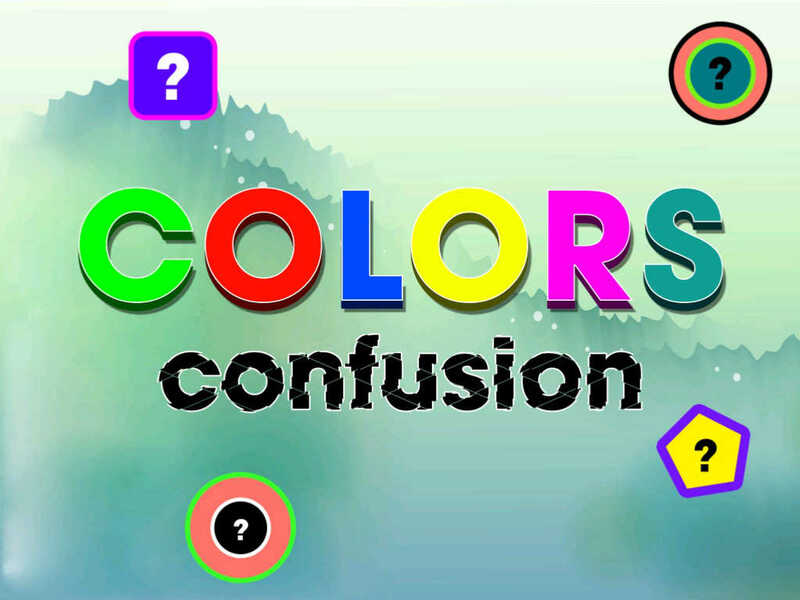 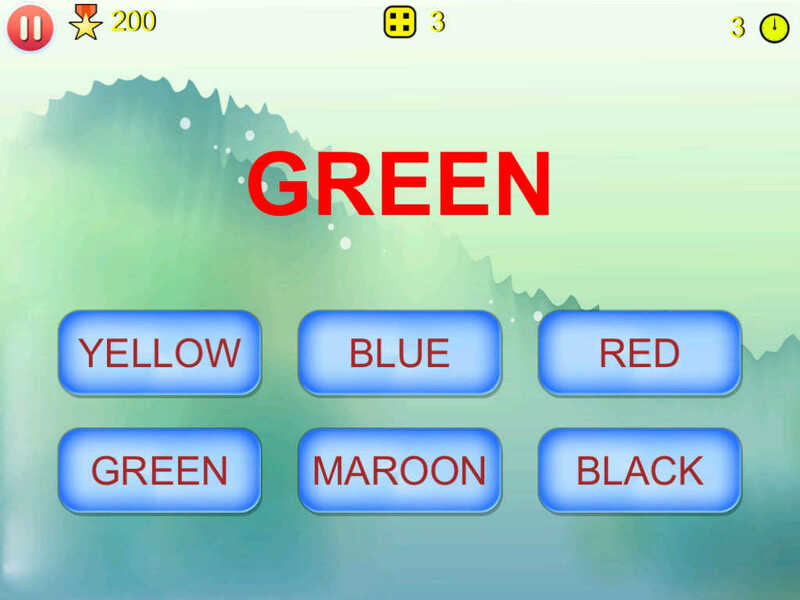 Play Color Confusion, an exceptionally easy to play game and just needs a bit of your concentration-power. 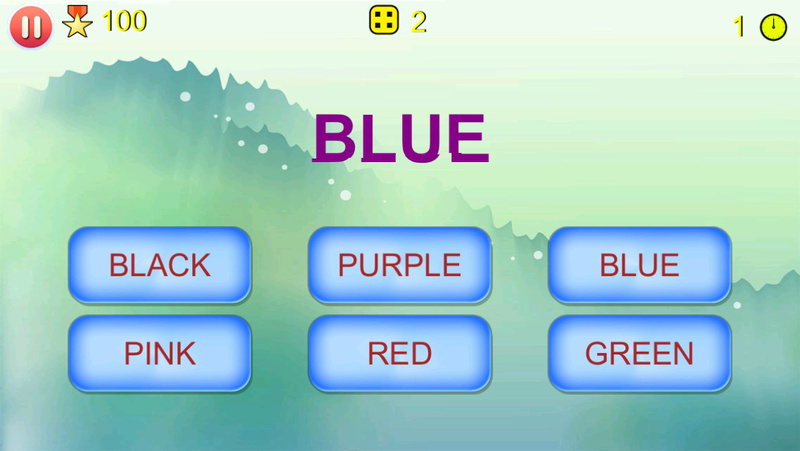 It is basically a game that tries to create confusion in your mind about what you see and what you think. 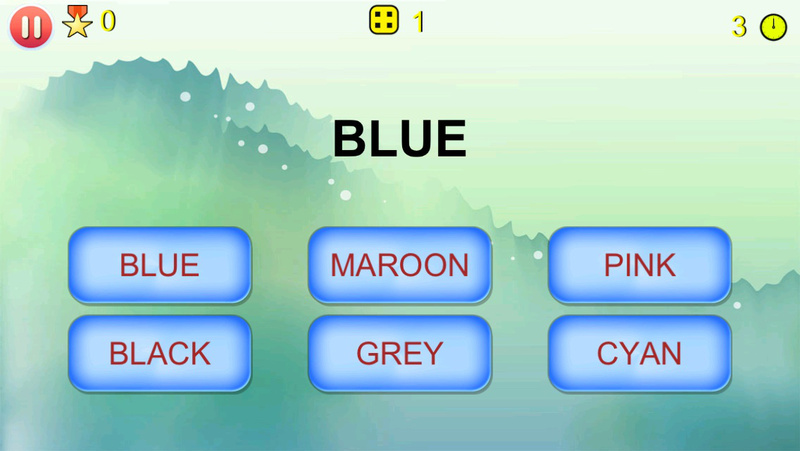 A nice app to kill time and to boost your ability to focus more.